variety of talent, from The Infernos, to a British Invasion, to 18-time Emmy Award Winner Jimmy Sturr and his orchestra. 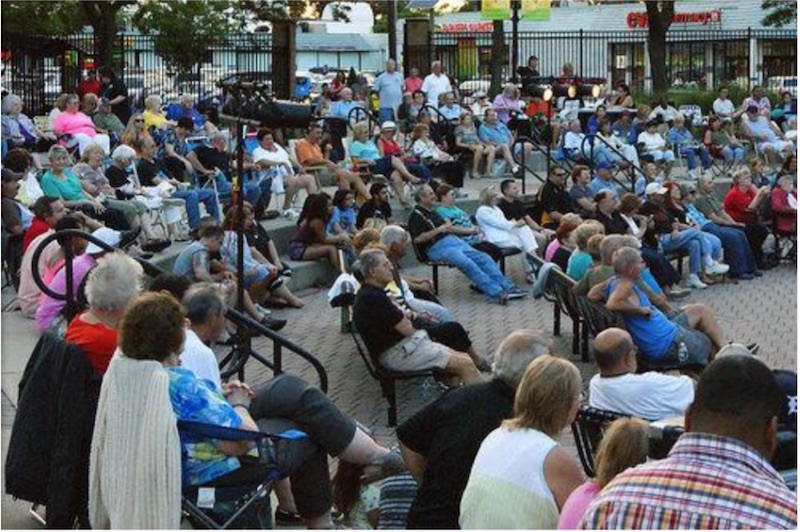 Whether it’s a concert in the park, outdoor movie night, or performance by the Secaucus Showstoppers, the Town ensures that there will never be a dull summer night. Put together by concert coordinator, John Bueckner, the lineup for August features Neil & The Diamonds, AM Gold, The Cameos, and Slippery When Wet, a Bon Jovi Tribute. The final summer concert is set to take place at 7:00 p.m. on September 9th, with 7-time Emmy Award winning saxophonist, Hunter Hayes. The concert will be held at the Town Pool during Wine Tasting Night and is an event that you will not want to miss! “The Town has gone above and beyond planning events for this summer…the feedback we have gotten is proof of its success,” says Mayor Michael J. Gonnelli. With concerts, movies, environmental cleanups, BBQs and more, Secaucus is filling schedules and curing summer boredom. For more information about performances, please see the concert series brochure on www.secaucusnj.gov.